We Stock and Ship Sundance® Spas and Jacuzzi® Spas Circuit Boards from our warehouse. These are not rebuilt but are Factory OEM Originals. We offer the lowest price and best selection. To help you make your selection, you can search our Circuit Board Chart found below or search the specific catagory. Also you can do a History search from our front page for your year and model of spa. After finding the Circuit Board used on your spa, insert the part number into the Site Search at the top of Home page and we will take you to the current board or upgrade offered by Sundance. Still can't find it or figure it out? Email us at the Contact Us Button at the top of this page. 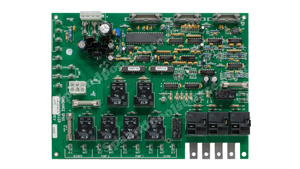 We want to give you the best price on our OEM Factory circuit boards. If you find an identical item elsewhere that is in stock at a lower, everyday, verifiable price, we will happily meet or beat that price upon verification. Just go to our Price Match Page. 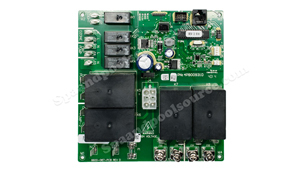 Circuit Boards 6600-053 and 6600-055 require heater relay wiring modification updating board. Instructions included. 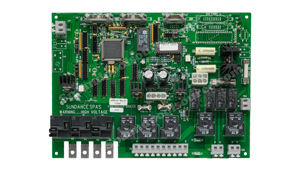 We carry all Sundance® Spas Circuit Boards in Stock. These are new, factory direct boards. In Stock ready to ship! Early 1991-1993. 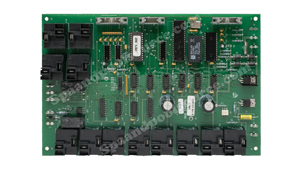 Circuit Board 6600-021 replaces the 6600-010 and the 6600-101. We are your best source for all things Sundance® Spas. We have a huge inventory of Sundance® Spas Parts. 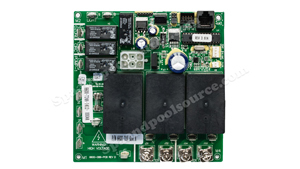 These Sundance® Spas Circuit Boards are identical except for use of different Eproms. The Eproms are the "Logic" Chip of the Board. These Circuit Boards replace the 6600-030. We are stocked with new factory "fresh" parts. 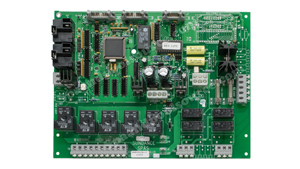 Sundance® Spas Circuit Boards used on all 850 and 880 Systems from 1995 to Present. These are new, factory direct boards. Our warehouse stocks all Sundance® Spas parts! 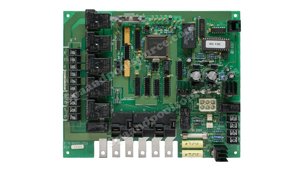 Sundance® Spas Circuit Boards 1, 2 and 3 Pump Systems used on 1997-2009 Sundance® Spas 850, 850NT and 880 Systems. Factory Direct Boards, not reconditioned. Comes with the Factory warranty. 1 Pump Circuit Boards used in all Sweetwater, Portofino and Del Sol Brands. 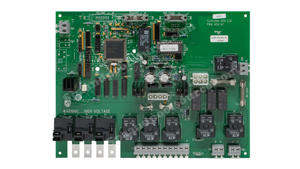 These boards replace some of the older Sundance® Spas Circuit Boards that are obsolete. The origanal were Spa Builders X10 and X15 system board. Sundance® Spas, Sweetwater Spas Circuit Boards used on All 2 Pump Systems: Chelsee, Certa, Burlington, Palermo and Bahia.We carry all Sundance® Spas Circuit Boards in Stock. These are new, factory direct boards.